Chinese side to make on-site visits to proposed more border points - Integration Through Media ....! KATHMANDU: The Chinese side is to make on-site visits to five new proposed bordering points between China and Nepal out of 13 proposed. The decision was made during a meeting held on Wednesday between Nepal and China where former had proposed the latter to consider opening 13 new border transit points between the two countries with a view to enhancing connectivity and facilitating trade and business. The meeting was held to consider amendments on agreement on road transportation between Nepal and China. 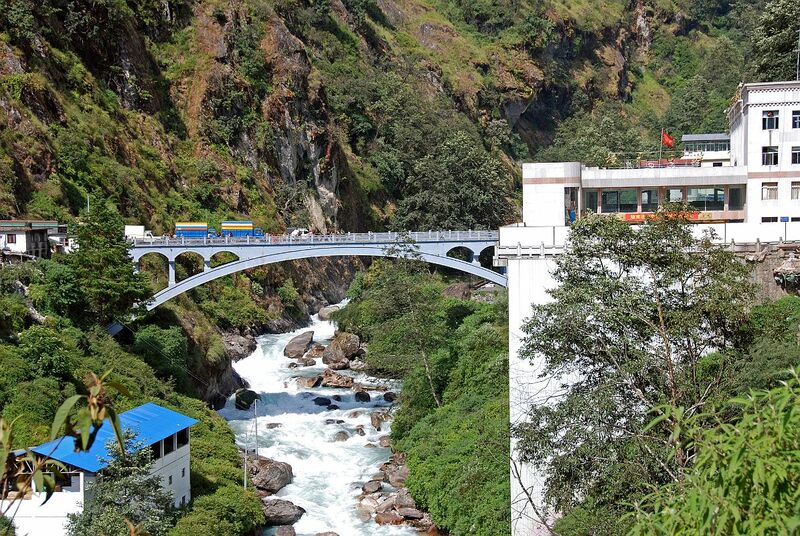 The Chinese side, however, did not mention the names of the proposed 5 bordering points, said Joint-Secretary at the Ministry of Physical Infrastructure and Transportation, Saroj Pradhan, who led the Nepali team in the meeting. Joint-Secretary Pradhan told RSS that there was no proposal floated on closing the Tatopani transit point as mentioned in the media. The Chinese side will conduct the on-site visit of five proposed new bordering points and will consider revising the agreement on road transportation thereafter, said Joint-Secretary Pradhan. Earlier on Monday during a meeting with China’s ambassador to Nepal Yu Hong, Minister for Physical Infrastructure and Transport Bir Bahadur Balayar had proposed opening new 13 transit points along the border between Nepal and China. The initiative is a part of Nepal’s preparation to open additional transit points. A delegation of Chinese government had recently visited Nepal to discuss the agreement on road transportation. Earlier, an agreement was reached with China to open transit points like Khasa-Yari (Humla), Khasa-Rasuwagadhi, and Khasa-Olangchungola. During the meeting with the Chinese ambassador, the Nepali side had proposed opening transit points at Hilsa, Rasuwagadhi-Korala, Dolpa, Darchula, Olanchungola and Kimathanga, according to Joint-Secretary Pradhan.